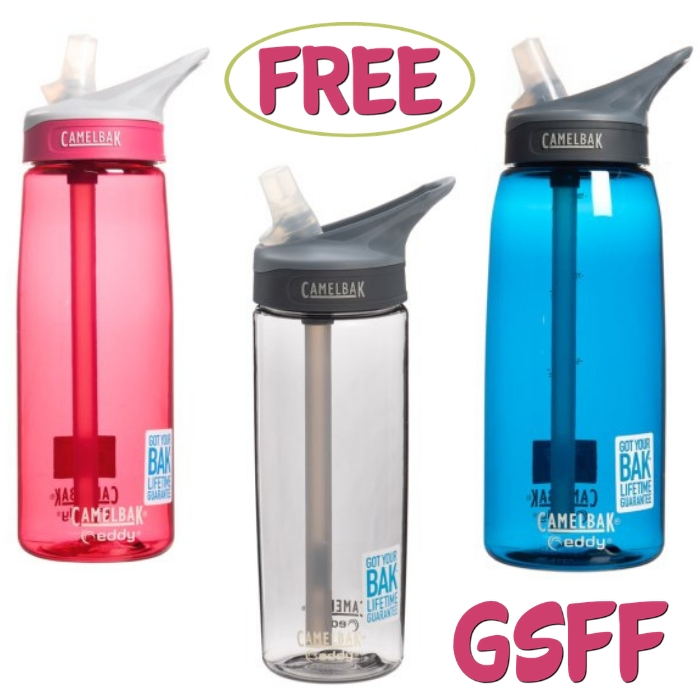 You are here: Home / FREEbies / FREE CamelBak Eddy Water Bottle From Sierra! This is a nice addition to your water bottle collection! Don’t miss your chance to get a FREE CamelBak Eddy Water Bottle from Sierra for new TopCashBack members! With a spill-proof bite valve and a shape that fits most cup holders, CamelBak’s Eddy water bottle is perfect for travel and pops right into the dishwasher for easy cleaning. Flip-up, spill-proof bite valve is made of soft silicone. Sleek shape fits hand and most cup holders. Wide opening is easy to fill and accepts ice cubes. Dishwasher safe and carry loop. Just spend at least $6.99 or more on CamelBak Eddy Water Bottle from Sierra through this custom TopCashBack page and get $12.94 in cash back! Click on the “Get Offer“ button and it’ll take you to Sierra. Add at least 1 “CamelBak Eddy Water Bottle” to your cart for $6.99 or more and head to checkout. You must spend at least $6.99 to get this deal. This is a Standard Shipping Rates Apply Offer. Pay $6.99 or more. That’s it! The $12.94 will post to your TopCashback account within 14 days, and the amount will become payable within 14 days. Cash back can be credited straight to your checking or PayPal account. Note: Transactions must contain at least $6.99 worth of purchases to ensure the $12.94 cash back is credited to TopCashback accounts. Transactions may initially track lower, but within the 14 days after purchase it will be uplifted and turn payable at the amount of $12.94. Transactions may take up to 7 days to appear in your TopCashback account. The deal is open until 11:59pm PST on 5/9/2019 or until supplies run out; whichever happens first; applicable for purchases made directly after clicking through TopCashback. Only one TopCashback account is permitted per member.